A patient talks about about working with Dr. Keesha to reverse her autoimmune disease. A patient's testimonial about working with Dr. Keesha to reverse her autoimmune disease. A patient describes the results she had using Dr Keesha's Stress Busting Toolkit. A Deep Immersion Retreat participant talks about her experience. I arrived dizzy and with ringing in my ears and after two days at this retreat it was gone. I am amazed. This is truly miraculous work and I feel so blessed. I would not be in this healthy place without you. "I can’t thank you enough for helping me over the past 10 years. I am so lucky to be in this place of great health after being sick for so long. I would not be in this healthy place without you." I first have to tell you that you really shifted things with my husband and me in a beautiful way... Because I was meditating on ABUNDANCE back in January during your 5 day meditation course, I found myself saying YES (abundance of time) during a particularly busy morning, when my husband asked me to walk to the train with him. We were so delighted with each other and in love like when we first met!!! THANK YOU!!! I'm blown away with the level of information and support that has come from this past weekend. It just reinforces the great decision I've made to join the VIP Concierge program :). Thank you, thank you, thank you for such a rich experience - and journey ahead. While I haven't read every page, I love all that I see you've included, and can't wait to get my hands on a hard copy to pour over. The chocolate chocolate chip muffins, were so easy!!! I was easily able to make a half batch when I saw I only had 2 eggs, and my little guy loves walnuts so subbed them for the chips. They were a hit with these 4 little boys at the beach who devoured your muffins with such relish! The Quick and Easy Autoimmune Paleo Cookbook is exactly what busy moms like me need! Hi, I am sure you are hearing wonderful stories as a result of your book, Solving the Autoimmune Puzzle, but can there ever be too many. I purchased it for my best friend who read it and for her I think it was affirmation of all she is currently doing for her health and well being. But we have a mutual friend at our church, a young woman who has been struggling with health issues for some time and while docs finally put a name to it (I don’t remember what it is other than autoimmune) and had begun treating her, she was not really improving. She read your book. I spoke with her this morning, quite honestly, I had forgotten she had the book! But...she started sharing with me how as she read the book all kinds of lightbulbs were going on in her head. She was raised in a very strong medically influenced family where anything outside of mainstream was not received well. But! As a result of reading your book she has opened herself to new things. She is seeing a very good naturopath who has been able to get her off several very toxic drugs. Her doc wanted to put her on another drug and she just had checks in her spirit and said no. She is feeling much better and is so thankful for all she learned from you. She said she so appreciated how you connected the emotional Being to everything else and how that has made a huge difference for her. Blessings dear one. "Today I feel more alive than I have for years." "I’ve just returned home from a 3-day Mystic Medicine Retreat with Dr. Keesha Ewers. I attended and supported this retreat because after years of living in the fog of limiting beliefs, old stories, and chronic illness I am ready for a new level of healing. Mystic Medicine may sound like a magical, unreal, and hard-to-believe approach to healing but in fact what I experienced was both practical and magical. There were no spells or tricks. The immersive retreat was a safe and spiritual container of human beings gathered to find freedom from thinking patterns that limit their vitality. The magic I experienced was the emergence of my true self comprised of ingredients already present within me but shifted by the shared human spirit and supported by an ancient wisdom integrated with a modern therapeutic framework. This process revealed the inner child inside me that was running my show. I took my inner child for walks around the medicine wheel encircled by the shared vulnerabilities and stories of my new Mystic Medicine Tribe (retreat participants) and supported by my mentor and mystic healing guide, Dr. Keesha. The experience was powerful and has allowed me to emerge loving my inner child while honoring the wiser woman I have become. I no longer see the mistakes in my life as something to feel guilty about. I no longer see the trauma in my life from a victim’s perspective. I am no longer ashamed of my shadow self. Both my light and my shadow guide me. Both are divine and help me evolve toward my true destiny. This is Mystic Medicine." "The Autogenic Training is making the difference"
"I've noticed the last two weeks upon waking that the tightness and cramping in my hands has significantly decreased. I've been thinking about what could account for this after more than a year of these symptoms. I am already gluten free, dairy, soy, eggs, corn free. Limited grains and legumes. I was doing my Autogenic Training session (part of the Stress Busting Toolkit) and it occurred to me the Autogenic Training is making the difference. My feet feel much better as well." "I really love your work! It came to me so wonderfully-timed, when I'd begun to sense a connection between my body's suffering and the grooves of early trauma. The way you tied autoimmunity to self-destructive impulses and trauma was a R-E-V-E-L-A-T-I-O-N. Thanks for being such a great teacher, mentor, and inspiration." "This was a Godsend for me." "I just wanted to THANK YOU so very much for offering this free 21 Day Quick Start Program. I am struggling with a few issues and this was a Godsend for me. Not many experts offer such a comprehensive free program and I had to write to you to let you know that it is very much appreciated. " It really helps me to say hello to the anxiety and then go on about my business. Then it doesn't have the power over me like it did before! "In response to Dr. Keesha Ewers email today about navigating uncomfortable emotions, yes, I've been experiencing lots of anxiety in the past 6 months. There are numerous life changes going on and I'm almost 3 months into a gut healing diet and still not feeling great much of the time. I've become so aware from you and numerous other sources of how much our emotions affect the health of our guts and how well they work. It really helps me to say hello to the anxiety and then go on about my business. Then it doesn't have the power over me like it did before! Your "Stress Busting Took Kit" is also a HUGE help as well as your book and the ways it offers to work through our emotions. I'm on the wonderful journey of creating the rest of my life! Thank you for being a treasured part of that! You really speak to and move me. I'm here to stay!" "I am loving the class (AIM) and looking forward to diving in more as we continue. Thank you so much for putting this class together for all of us. Obviously an incredible amount of time has gone into preparing all the information and I so appreciate being a part of it." "I'm feeling empowered by your tools"
I just wanted to send another note of gratitude for your simple but very useful suggestions each day for last 13 days of the 21 Day Quick Start Program. They have been put to use by me and I'm feeling empowered by your tools and others learned on LS2. I drink the CCF tea daily since reading about it in your book. Love, love, loveit! I ordered and began using sesame oil today. I ordered your autoimmune book on Amazon and will begin reading soon." "I am so thankful for all the ways you have contributed to the amazing progress I’ve experienced in the last 6 weeks. " This spring, I actually enjoyed the spring instead of feeling sad that another spring was passing without me feeling like a real person. For the first time in years I’ve enjoyed vacations with my family and have been enjoying my husband and children so much more too. I think they are enjoying me more too! Most of all, I’ve had a rebirth of lifelong dreams and become reacquainted with parts of me that had been quieted because I had no space for them in my painful existence. This is all on top of being able to eat cheese again! (and tomatoes, peppers, almonds…) I could keep going, but you get the picture! Thank you, thank you, for all that you do each day. I know there are still more good things to come, but I wanted to pause amidst the work to let you know how much I appreciate you. A patient talks about the experience of healing by working with Dr. Keesha Ewers. I have never experienced such an incredible tribe of people so willing to do their work. I feel seen, heard and capable of being my authentic and powerful self. "... Only you could have convinced my husband the way you did..."
"Thank you for being so awesome - only you could have convinced my husband the way you did. Thank you for sharing your personal story as well as that is really a testament to how you live and breathe what you preach." "We're lucky to have you and your amazing mind and caring heart in our lives!" "I want to take a moment today to wish you the merriest of holidays in appreciation for all the magic and healing you bring to the world, and many blessings for you during this ever-evolving journey of spirit in bliss! It sounds like you are transitioning to a whole new you! Doncha just love all the layers of this onion (or, preferably, "petals on this rose" :-))? Turning 60 this month and all my sons and grandson all married this past year has released me to a new and different life. It's "Get Back to Me" time. This is the perfect time for me to do the work to cleanse my whole being and refresh my body and soul. Thank you for providing me with tools to do that! I hope you will continue to keep your website and the programs available to us all, with even more to come! Congratulations on your new direction. Maybe it's not that it's new, but that it's focusing in on the main gain for humanity - integrative medicine. We're lucky to have you and your amazing mind and caring heart in our lives!" Brian talks about his experience of healing by working with Dr. Keesha Ewers at Fern Life Center. "I am feeling so much freedom." 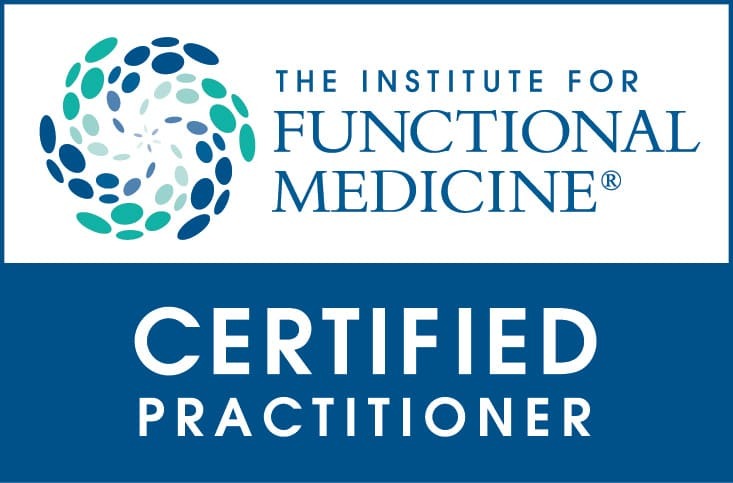 I highly recommend the Autogenic Training that is part of this program (TLC). I have done a lot of personal work, but the autogenic training has helped my nervous system calm down so now I am having more insights and seeing new connections about how I see a lot of things in my life. I now see this has been causing me to get sick. I am feeling so much freedom. "You UnBroken is an incredible program that I not only benefited from personally, but it gifts me with a resource to offer my clients as we unfold an integrative plan to create more health, freedom, and vitality in their lives. It is a tangible way to engage in supporting change in yourself on a day to day basis." "Dr. Keesha’s program gave me the skills and knowledge that began a journey of transformation." I started a detox and adrenal health program, gradually working on my emotional, physical, mental and spiritual challenges with Dr. Keesha Ewers. I became more aware about my health, nutrition, relationships and balancing my life. Dr. Keesha’s program gave me the skills and knowledge that began a journey of transformation. Two years later I am still benefiting from her wisdom and still learning about myself. My journey continues to be transformative and self-reflective. Dr. Keesha has a natural, authentic, non-threatening style of communicating. She is one of the most genuine individuals I know. I trust her like no one I’ve ever met before in my life. She is truly a gifted healer balancing emotional, physical, mental and spiritual aspects of individuals. I cannot speak highly enough for her, the programs and the staff. Teresa on her experience of healing by working with Dr. Keesha Ewers at Fern Life Center. "I feel better, have more energy, and I'm down to two prescription medications (from 5)." I sought out Dr. Keesha Ewers when my endocrinologist told me I was pre-diabetic. His only solution (outside of "try exercising more and eating better") was medication. I knew there was a better way. First, Dr. Keesha really listened to my issues--which were more than just blood sugar related. She helped me see my health as part of a holistic journey. She did tests I'd never had (or had even been considered for me!) and found out I am allergic to gluten. After eliminating gluten from my diet, I've been able to also eliminate two medications I have taken for years for asthma--including a steroid inhaler. The elimination diet she put me on has resulted not only in weight loss but also cleared pain from all my joints, including my budding carpal tunnel syndrome. I feel better, have more energy, and I'm down to two prescription medications (from 5). Dr. Keesha is great at getting to the root of your health problems instead of giving you medications to treat only the symptoms. She can also tell you, in layman's terms, how your body's organs and systems are connected and how stress on one organ can impact others (such as thyroid). I'm so glad I found her. It is not always an easy journey, but isn't your health worth it? "You are SO my hero…I am sending all of my friends to you. You were also so right about the ADD meds, I stopped taking them. I don’t need them. You have changed my life." Susan talks about the healing she's experienced by working with Dr. Keesha at Fern Life Center. "I am finally on the road to reducing and hopefully eliminating the medications and regaining a healthy life." Exhausted by western medicine's technique of offering only medication that masked symptoms, I took my more than decade-long health issues to Dr. Keesha Ewers. I found not only an empathetic approach, but one which set me on a path to treat the causes of the problems. No western doctor ever tested me to determine that I was pre-diabetic, even though there was a history of Type 2 diabetes in my immediate family. Dr. Keesha's thorough testing protocol uncovered that and other key diagnoses that have a severe impact on my future health. Through a carefully designed plan with frequent fine-tuning, I am finally on the road to reducing and hopefully eliminating the medications and regaining a healthy life. 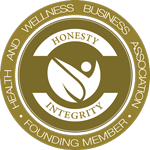 I feel that my association with the Institute has significantly improved my chances for a longer, illness-free life. "I feel like God sent you to my life." I couldn’t even walk without holding onto something. I struggled to get up from a seated position, and now look at me! I am walking around and getting up and down easily! Thank you so much Dr. Keesha. I feel like God sent you to my life. A patient talks about her experience of healing by working with Dr. Keesha Ewers at Fern Life Center. "We are in this 8 weeks now and we are so happy that we have been empowered ..."
After a friend described similar heath issues as my husbands and her satisfaction of the care that she received through Dr. Keesha, I decided to make appointments for both my husband and myself. After several diagnostic tests which showed some very immediate health concerns, we appreciated that we had a willing partner in Dr. Keesha Ewers, who helped by showing us how we could take control of our health. We began a journey of self-imposed improved health via an elimination diet which admittedly was difficult at first however our bodies showed us the benefits through greater energy and mental clarity and weight loss. The importance of the strict elimination diet starts to hit home as you start adding foods back in and see the effects that the wrong foods have on us and affect us metabolically. You really start to grasp the "our food becomes us", when you feel how certain things that you think that you love to eat really screw you up. It becomes easier to look for an alternative to that pain by letting it go. I "loved" coffee but there are alternatives to coffee which are better for you and very tasty without the acids and caffeine for example. We are in this 8 weeks now and we are so happy that we have been empowered and are determined to take advantage of this opportunity to turn our lives around from the inside out. IT TAKES DISCIPLINE. If you have it, you will be rewarded by your efforts. Take advantage of what is available with Dr. Keesha Ewers. Her guidance to your own self-health care is good prevention and a cost effective alternative especially if you have immediate health concerns which most certainly will cost you more in the long run....we really do become what we eat! Denise talks about her experience working with Dr. Keesha Ewers and turning her health around. "I feel better than I have in 5 years and I can't wait to see how amazing I am going to feel tomorrow." "... it's as if Dr. Keesha can see our "blind spots" before they can been seen by our own hearts/spirit/minds." My journey with Dr. Keesha began in February 2008. Upon my initial consultation, my heart & spirit knew she was the access for wellness & freedom in my life; to help fulfill both a physical and emotional need. My now husband, and I, proceeded to undergo Ayurvedic treatment plans shortly after; and continued to meet with Dr. Keesha to focus on our individual growth and healing. From our commitment to trust Dr. Keesha, I was able to climb the "mountains" I placed within my life decades ago (like peeling back the layers of an onion); to allow myself to heal and have compassion within my life. These events were a catalyst that created a sense of freedom in my life that I honestly thought wasn't possible to achieve. I am now working with Dr. Keesha to explore possible allergies/sensitivities that I may have to food and/or my environment. I am in my third week of the Elimination Diet and feeling so much better! I believe this will be incredibly helpful to sustain continued wellness within my life. The Effortless Mind Meditation Course with Ajayan was also a great introduction to a daily meditation practice; and provides an opportunity to practice meditation within a supportive community. I would highly recommend working with Dr. Keesha and her team, as well as participating within the variety of other offerings available at the Institute. The commitment to take on a treatment/program is one that may test your willpower, yet I would urge you to trust in yourself and in Dr. Keesha. Within my and my husband's experience, it's as if Dr. Keesha can see our "blind spots" before they can been seen by our own hearts/spirit/minds. Cultivating a belief that you can work through it and follow through with the program, you will see results; and you will have felt the freedom and healing that they will bring. Best of wishes to each of you who read this; I hope you find the answers you are searching for within your pursuit of wellness. Take Care. Renee F.
"Her kindness is also something that has really encouraged me to take care of myself." Dr. Keesha Ewers runs a very healing practice. She taught me about how to use natural products to control body function. She also gave me some helpful tips on health in general. I would recommend her to anyone who wants a outstanding health provider. Her kindness is also something that has really encouraged me to take care of myself. Here is a big thank you to Dr. Keesha Ewers. Barbara W.
" It is vital to like and trust the person who you choose to partner with in your healing. " "... there is so much support from Keesha and her staff, they make you feel so well cared for. "